Out now on DVD, Blu Ray and Digital HD: ELIANNE BYRNE & ANDRINA CARROLL in THE RAILWAY CHILDREN. Mike Kenny and Damian Cruden’s imaginative stage adaption of E. Nesbit’s classic novel, which was first performed in 2008, is directed for the screen by the International Emmy Award-Winning Ross Macgibbon, who also directed The Importance of Being Earnest with David Suchet and Matthew Bourne’s Swan Lake for the big screen. 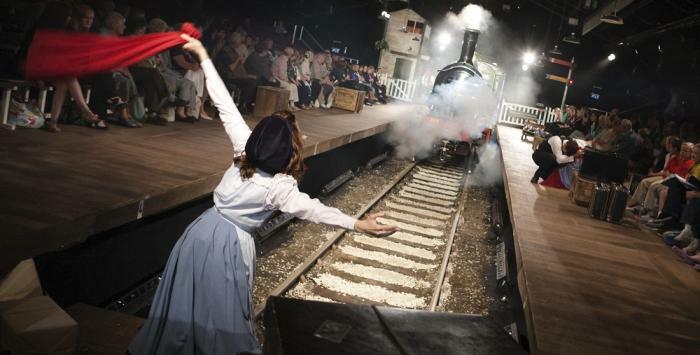 The Railway Children was filmed at The National Railway Museum in York in Summer 2015 and features the original locomotive from the much loved 1970 British film. Filmed using multiple cameras by an expire team, the stage-to-screen film captures every moment of the fast-paced stage production. 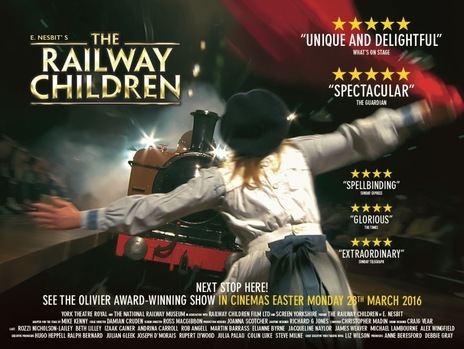 Own The Railway Children now, on DVD & Blu Ray in stores and Digital Download from iTunes, Amazon and others.